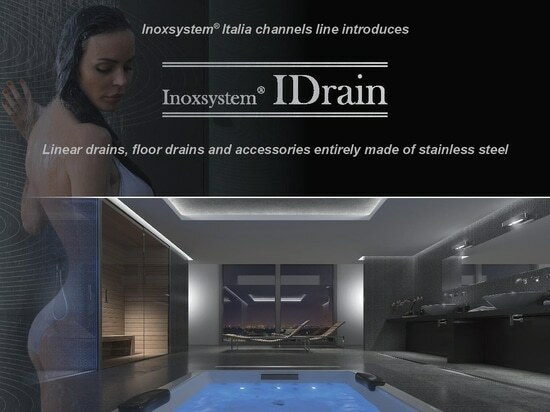 Line 3070 - Inoxsystem® Italia drain Channels - stainless steel - removable odor trap and filter - waterproof membrane holder - Via Astico, 52, 36030 Fara vicentino VI, Italy - Inoxsystem S.r.l. 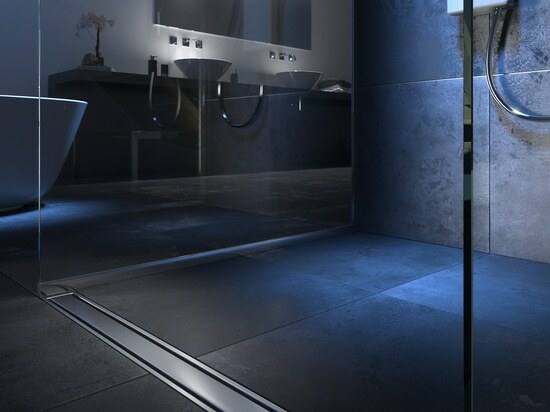 Entirely made of stainless steel AISI 304 (or AISI 316 upon request), with a constructive thickness of 2 mm, Italia channels are ideal in particular for showers, bathrooms, public services, changing rooms, swimming pools and terraces. 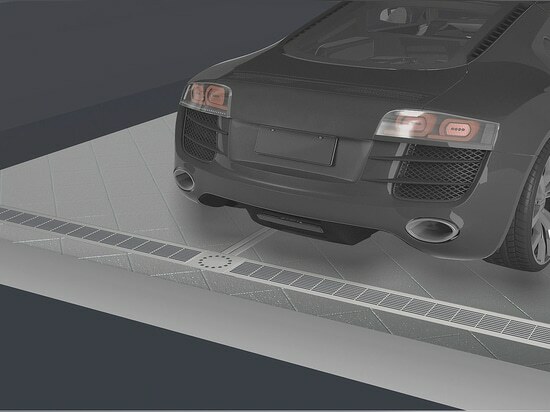 Inoxsystem® line 3070 is provided with a lower edge for the fixing of waterproof membranes ideal as a further anti-infiltration barrier. The central horizontal outlet includes an odor trap and a removable filter and is specifically designed to take up as little space as possible in height. Nb: by simply removing the siphon, flow capacity can be increased. 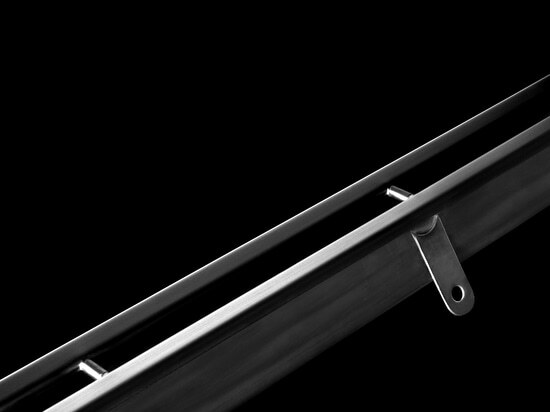 The Inoxsystem® line “Italia” is characterized by an elegant removable satin cover with two 5 mm slots at the sides and a floor drain with a siphon and a filter that can be removed to allow a complete and accurate cleaning of the channel and the discharge pipe. 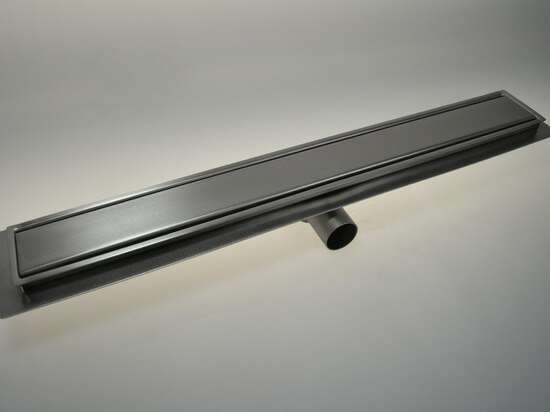 So, thanks to the well-known properties of stainless steel and the possibility to completely remove the internal components of the channel, this line does not allow bacteria to thrive, as is the case with other types of materials that deteriorate over time, and meets the highest standards of hygiene in compliance with regulations. 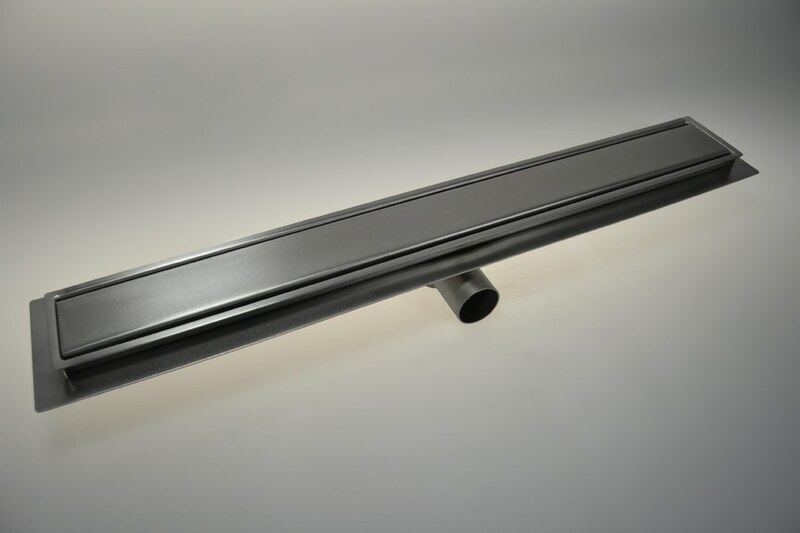 The standard lines have a width that varies from 100 to 70 mm and a length of 700-800-900-1000-1100-1200 mm (or custom made upon client's request) and are completely seal-welded. Important: All Inoxsystem® stainless steel products can be made custom, with designed drawings in collaboration with our technicians, able to satisfy the widest range of installation requirements.